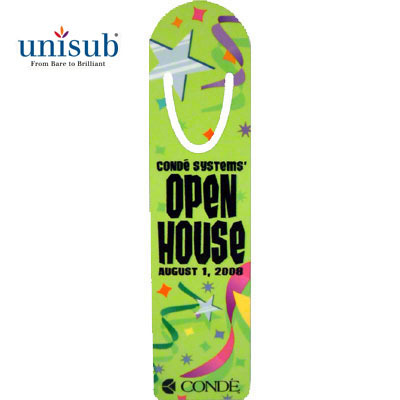 Bookmarks are a sales winner and a natural lead-in sample for many large market channels including schools, corporate recognition, sports, holidays, religious communities and more! Custom imprinted bookmarks are ideal gifts for voracious readers of all ages. 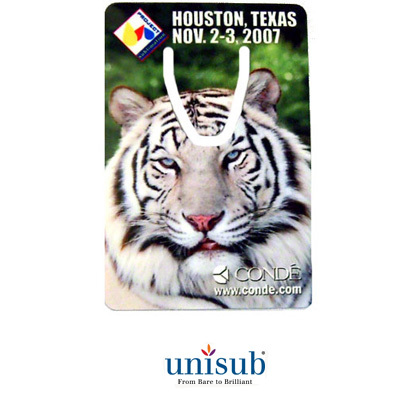 The U5767 aluminum bookmark is 2" x 3" which is a great aspect ratio for photos. Try our U5646 1.25" x 5" as a sample for your next church meeting and you will make many new customers! Dimensions: 2" x 3" x .030"
Dimensions: 1.25" x 5" x .030"